A team of scientists at the Bengaluru-based Jawaharlal Nehru Centre for Advanced Scientific Research (JNCASR) have developed a new technique to produce hydrogels that could be used for a variety of purposes like cleaning industrial wastewater. This hydrogel can bind different types of metal ions, including toxic heavy metal ions. The researchers have tried it out with wastewater samples containing dyes. When they passed the samples through a column of the hydrogel, the dye with positive charge got attached to the surface and cleaner water flowed out. “The hydrogel is responsive to changes with the acid and base content of the water. Addition of acid breaks the gel. It again reconstructs upon addition of alkaline solutions. 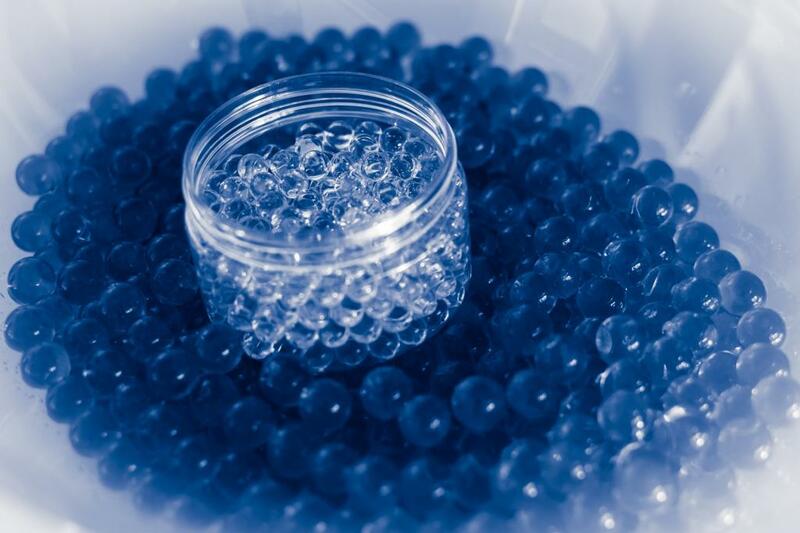 This means the hydrogel can be reused multiple times by just changing the acid level. This could bring down the cost of wastewater treatment substantially. Further, the separation was found to be much faster than the conventional methods,” said professor Tapas Maji, leader of the research team, while speaking to India Science Wire. The second hydrogel was developed with a binder based on an organic chromophore, tetrapheny lethene. It turned out to be highly photo-responsive. “The cyan colour emitting hydrogel can be used in writing. It will be visible only in ultraviolet light. It could have immense application for agencies dealing with highly sensitive documents,” Maji added.